The Casa Grande Art Association is helping raise funds for several projects at the Casa Grande Art Museum! This fall, you have an exciting chance to play a role in the future of our local art museum whose mission is to be a creative arts center that provides opportunities to view a diverse selection of quality art, provide educational opportunities, and teach art appreciation. There is a great vision for what the museum can become, and hopefully we can all work together to help make it a beautiful space for our community to thrive together; a place that will attract more quality artists to exhibit, and entice viewers like you to come inside and check it out! All donations go directly to the Casa Grande Art Museum and are tax deductible. The museum is located at 319 West 3rd Street, in a historic house built in 1935. They have unique monthly exhibits from November through April that open on the first Friday of each month with an evening event and refreshments for members. The museum is also open to the public on Wednesday thru Saturday from 1 - 4pm and does not charge admission, so it is accessible to everyone! -Family friendly community fundraising events in which you can participate! -Constructed by students at Central Arizona College who are donating their labor! -With stained glass details - Watch the video to see the fence design! -Backyard patio where events can be held. 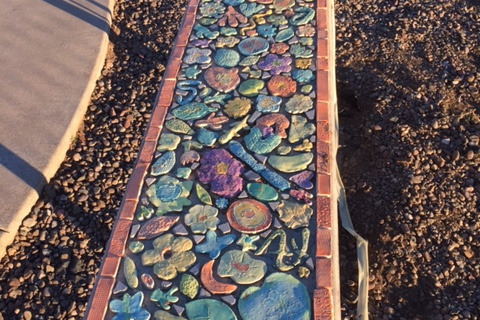 -Designed and installed with guidance from the Greater Casa Grande Master Gardeners who will hold future educational events in the garden! -All plants will come from The Avocado who is giving us a 10% discount! Fresh Paint and New Windows! -New bright colored paint and repairs to the exterior of the building. -Local artists will work with community members to install brightly colored mosaics and murals on the garden hut and cinder block wall! -See events listed below to see how you can get involved! 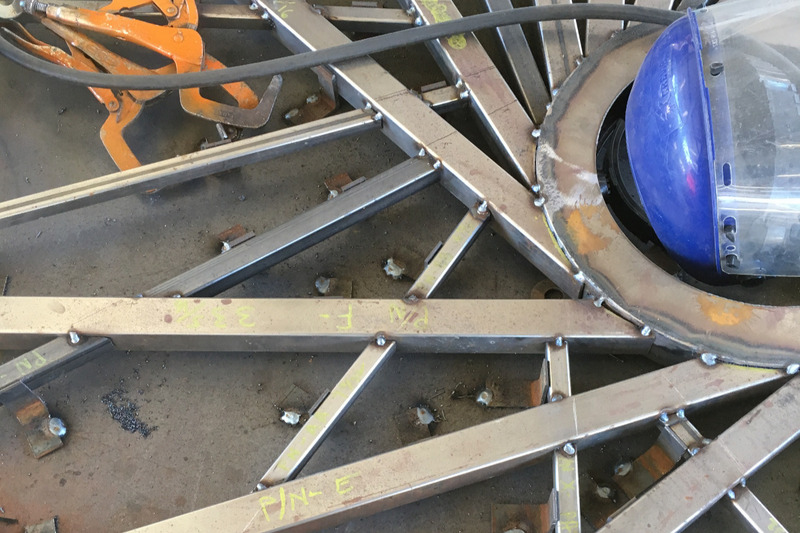 The construction and installation of these elements will bring our community together with creative activities that will beautify the museum for years to come! - Shirts cost $18 + $1 handeling fee. -$10 from each sale will go toward the projects we're working on. - Shirts can be picked up at the Casa Grande Art Museum after we notify you that they are ready. -Your name or memorial will be posted next to one of the new plants in the garden along with the name of the plant! $250 - Sponsor a Tree! -The first 4 donors at this level will get their name posted next to one of the trees! -If you are not the first four, you will get two name paver bricks with your name or memorial on it. $350 - Sponsor a Stained Glass Circle! 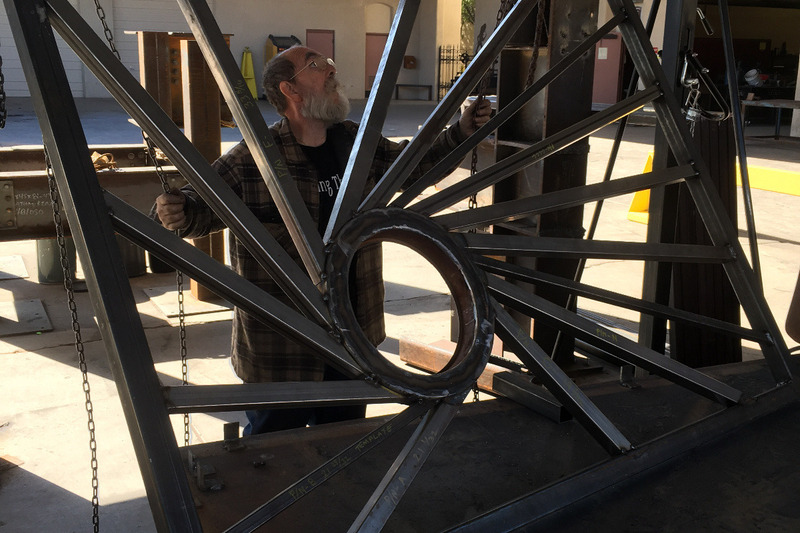 -Each of the circles shown in the fence (on the video) will be a colored stained glass window. -By sponsoring a circle, your name will be engraved onto a plate that will be mounted next to the circle for as long as the fence is standing. -The first 8 individuals to give $350 or more will get to sponsor a circle at the front of the museum. -Corporations can give $400 donations to sponsor a workshop. Your business name will be posted next to the workshop name, and all funds will be used for materials, advertising, and to pay instructors. This allows us to offer a workshop for free to a group of students who would not normally have access to such a class. Thank you so much for taking the time to review this project and we hope you will consider becoming a part of it. It means so much to our community to have an incredible creative space like this. Don't forget to mark your calendars! We have some fun family friendly fundraising events planned as well! March 16th 10am-4pm: "Yartsy! The Artsy Yard Tour"
-Garden tour with emphasis on yards with artistic embellishments! - Donation of $10 per ticket is accepted at the art museum the day of the event. - In exchange for your donation, you will be given a map to find the artsy yards! Hello Art Museum Supporters! I have an exciting update for you! The first panel of the fence is complete! 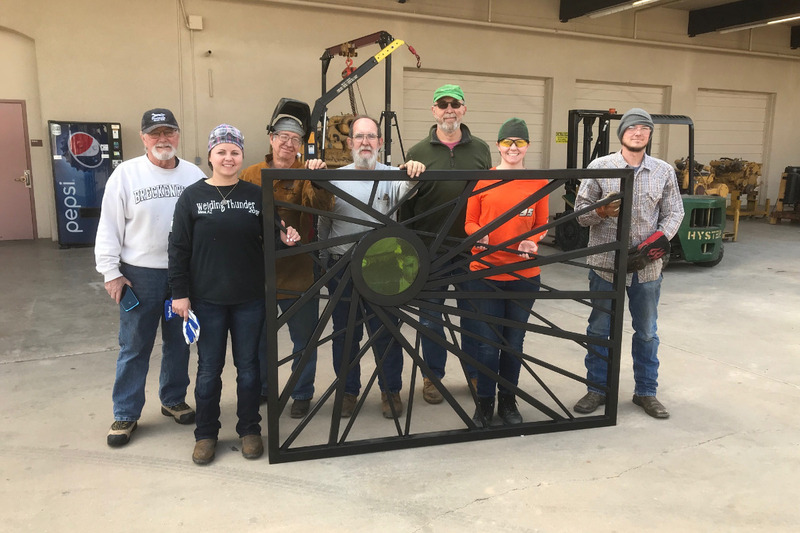 See the photograph of the first panel with the students and volunteers at Central Arizona College who, over the past several months, produced this magnificent piece of art! Only 34 more panels left to go:) Several more panels are in process at various points of completion. The crew leader, professor Richard Santasiero, believes they may begin installing the first 11 panels in May. Those panels will go in the front of the museum. Shirts are $18. Funds raised from T-Shirts sales go toward funding the garden projects and future maintenance of the museum. Mosaics continue to take shape around the museum grounds. Patti Kramer completed the piece pictured with a group of local Girl Scouts! The museum grounds are slowly getting a facelift. 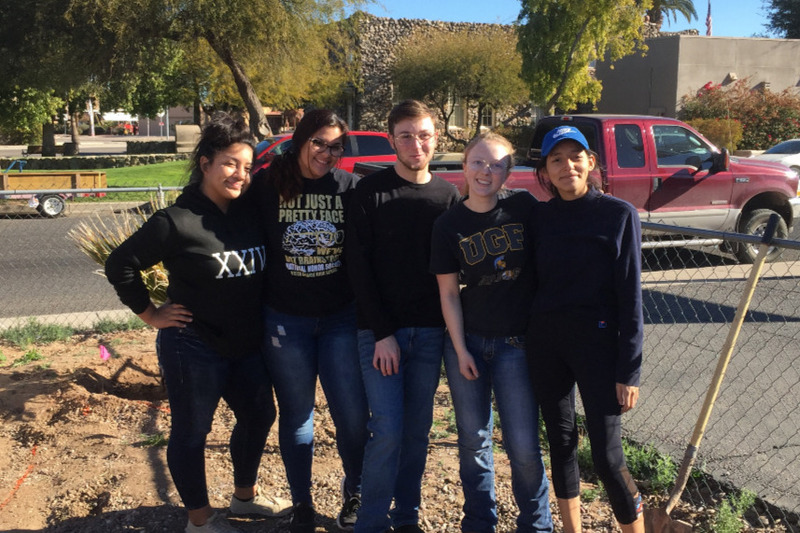 Art Association members along with the pictured members of the Vista Grande National Honor Society spent time in January clearing out weeds, moving sculptures and leveling the ground. Lynn Swanson, our master gardener staked out where all of the plants will go. They plan to begin Phase 1 planting in mid February, and hopefully we'll start bringing in new gravel soon after that! The Museum currently exhibits the work of Carole Perry, a wonderful glass artist from Cave Creek Arizona. See her website here: http://www.laughingglass.com/index.html and visit the art museum to see her beautiful colorful creations up close and personal:) The exhibit goes till February 23rd. The museum is open Wednesday – Saturday 1pm-4pm. Hello Casa Grande Art Museum Supporters! 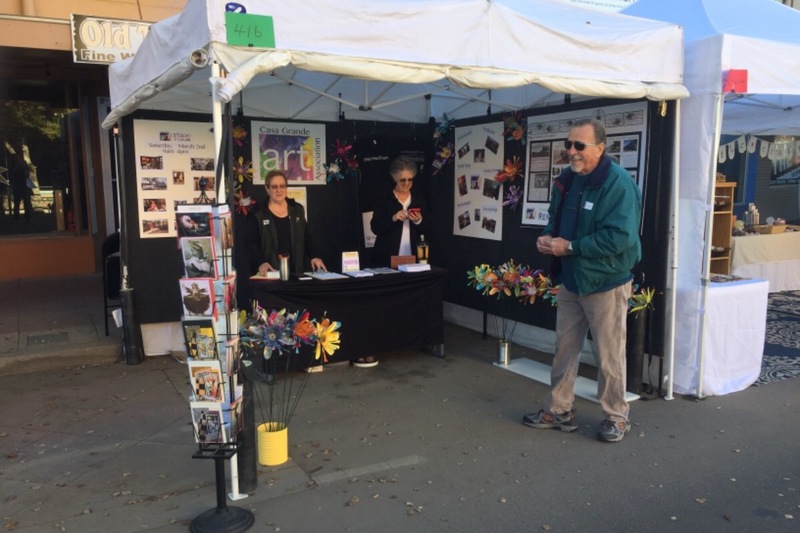 Be sure to check out our booth at the Casa Grande Street Fair today or tomorrow! We are at booth 416 near the Paramount. There, you will find our thank you T-Shirts, painted flowers, and greeting cards for sale, as well as examples of bricks and stained glass circles for sponsorship. Those who gave $25 or more to our gofundme earned a spot on our thank you t-shirts! They will also receive 10% off their t-shirt orders! There is also a display about our progress with the muse Projects that would not have been possible within your support! Thank you all! Hope to see many of you at the street fair! 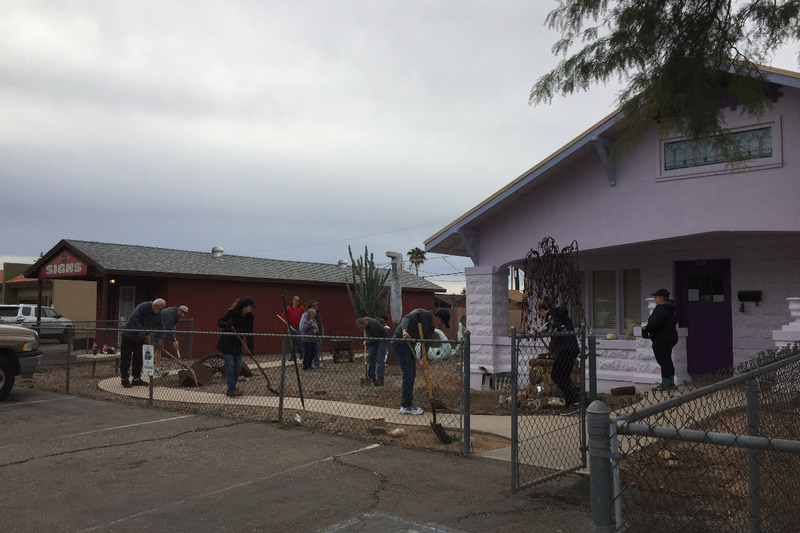 We have reached the final few days of the fundraising portion of our adventure to make the Casa Grande Art Museum a more vibrant and special place for our community. There are still a few stained glass circles and plants available for sponsorship, and a few spaces left on the back of our thank you t-shirts for names of donors who give $25 or more (please remember, donations must be made on GoFundMe before January 1st to get your name added to the back of the thank you T-Shirt). 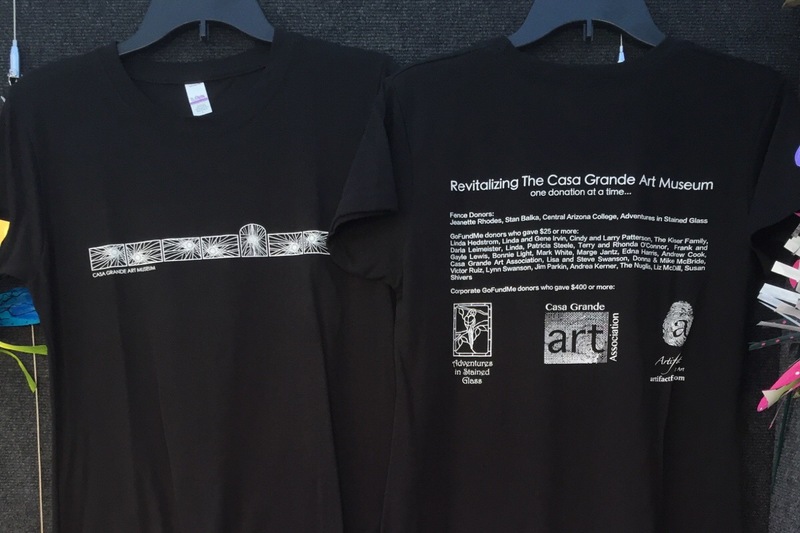 The shirts will be available for purchase at the Casa Grande Street Fair January 19th and 20th, and ongoing at the Art Museum. We have come a long way! Thanks to your support, and the support of others who have given outside the GoFundMe platform, we have raised $14,947 to cover the majority of our projects. The only thing we have left to raise is for maintenance costs to keep the museum a beautiful inviting space for our community to explore inspiring artwork and enjoy the benefits of making art together! Additional donations can also be used to sponsor materials, instructor fees, and advertising for community art making workshops that we hope to plan at the museum for 2019! Work has already begun on the garden! We had a well attended work party in December to remove gravel from the museum grounds in preparation for new irrigation, plants, and fresh gravel (see picture). The irrigation work party will happen in late January, planting should begin in late February, and if all goes well, we'll lay fresh gravel in March in time for “Yartsy!” - The Artsy Garden Tour that will take place on March 16th! (We'll send out information about tickets for that event in the near future. All ticket proceeds will go toward the art museum after deducting costs for advertising). The mosaic projects are also coming along! 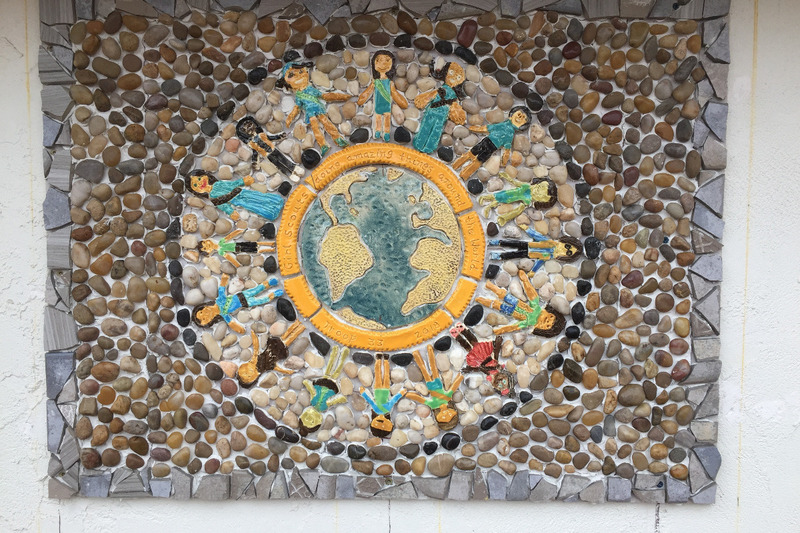 The benches on the museum grounds are now covered in brightly colored mosaic tiles made by various groups throughout the community! Feel free to go check them out on the museum grounds. 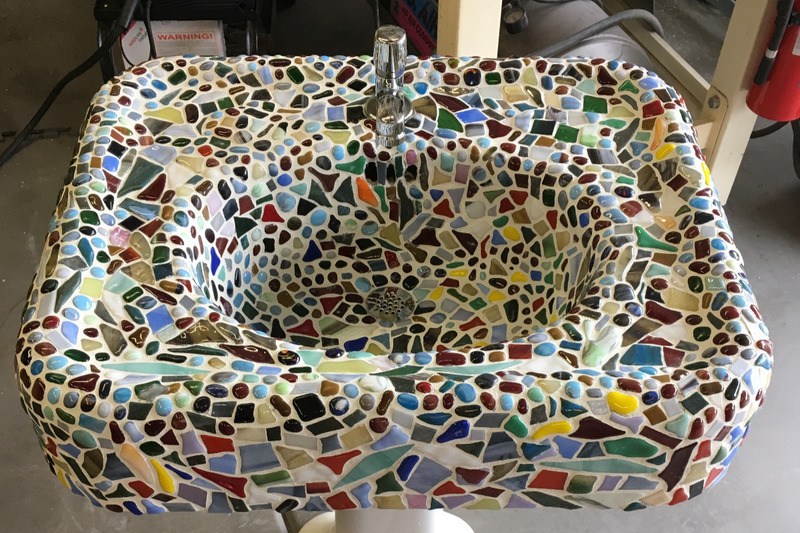 The tiles are installed, and grout will be added soon! Many community members may remember our Lend a Hand event that took place last September. 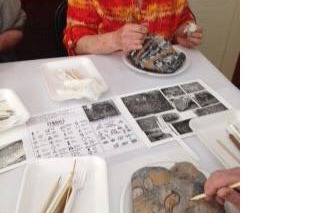 At the event, the community was invited to decorate clay hands that will be mounted on the museum's garden wall. The tiles are nearly all fired, and installation should begin in the coming months! After a short holiday hiatus, work continues on the fence! The first panel is coming right along (See picture). Isn't it exciting to watch it come closer to completion? Imagine what a wonderful place the museum will be when all of these beautification projects are completed, and to think it all came about from volunteers and donations! It will be a very special place in our community – a coming together of people from all walks of life, and a shrine to the creativity and generosity in our community. Thank you for your generosity, and for taking part in our grand adventure! We'll continue to keep you posted on our progress! Can you believe there is just one more month in our online fundraising campaign? For donors to be included on our fundraising T-shirt, they must donate before January 1st! Things at the museum are moving right along! Our next phase is to install new irrigation in the sculpture garden. A gravel removal party will take place on December 15th from 9am – 12 at the Art Museum. Volunteers are needed to help remove the gravel to prepare for trenching and laying new irrigation lines. A bobcat will do much of the heavy lifting, but we will still need to do more detailed gravel removal close to the sculptures and near the fence and building. All are welcome to come out and help. Bring a wheel barrow, rake, and spade if you have them, if not, some will be provided! If you or someone you know is looking for gravel, we should have a big pile of it by the end of the day and it is free to take. New gravel will be spread and plants will be planted in the coming months thanks to your help and the funds we have raised together! Progress continues to be made in other areas as well! Work on the fence is ongoing at Central Arizona College, mosaics are being added to the walls of the backyard shed by Art Association members Lisa Swanson and Patti Kramer, and new pluming is being piped in this week to install a new outdoor sink that Art Association member Stan Balka decorated earlier this year! Things are really moving right along. I've included some photographs of the our last fundraising event, “Leave Your Mark” which was a great experience for everyone involved. It is so exciting to see how much of an impact we can have when we get excited about something together! It sure is a lot of work, and the many volunteers who have put time, money and effort into creating this space deserve our gratitude. Thank you to each of you for being a part of this!